This week's tasting took me longer than than usual, owing to a high-pressure schedule and that most dreaded of all springtime rituals: the seasonal head cold. So fair warning: my tastebuds might be a little askew on this one! I found this chocolate to be a really well-rounded bar in so many great ways: really consistent throughout, great texture, flavors that balanced each other out beautifully (I have to note here that the mouthfeel of this chocolate is ridiculously good, considering there is no added cocoa butter to add smoothness. I consider this a great accomplishment). Sometimes I want a chocolate that pulls a lot of surprise twists and turns on me, and sometimes, I want a symphony where the flavors rise and fall in rhythm with each other in such a perfect way that it just feels like perfection--not at all bland or uninteresting, just perfectly composed. It starts out with a head full of full-bodied aroma (even a stuffed-up head can detect that! ), and the opening notes are a pizzicato flush of sour, bright summery fruit. Those flavors are fairly quickly offset by a nutty dive into the lower peanuty, possibly filberty notes of the middle, and finally they wind down to the deeply satisfying timbre of tobacco and rich cocoa. I had the profound privilege of visiting Ben Rasmussen in his compact little magic-making workshop early last summer on a trip to D.C. He welcomed me into his space and took time out of his schedule to show me around his inner sanctum: the machinery, the engineering-in-progress, the batches of chocolate in their various stages of refinement. I had never had Potomac Chocolate before that day, so the sense of discovery was pretty profound for me. I've been lucky to step inside of several chocolate makers' workshops now, and each one has its own signature peculiarities and specialties. For Potomac, I think it's Ben himself that brings the workshop to life. He is deeply passionate about getting it right, about sourcing really good beans, about tweaking and re-tweaking his processes until the chocolate just sings. And above all of this, he just imbues the place with a sense of ingenuity and humility. He's not a boaster, and he doesn't style himself a coinnoseur of fine chocolate. He's a family man with a sense of balance and creativity and hard work, and I really admire those attributes. I can't help but think that those qualities come out to play in the chocolate he creates, and that's a beautiful, beautiful thing. 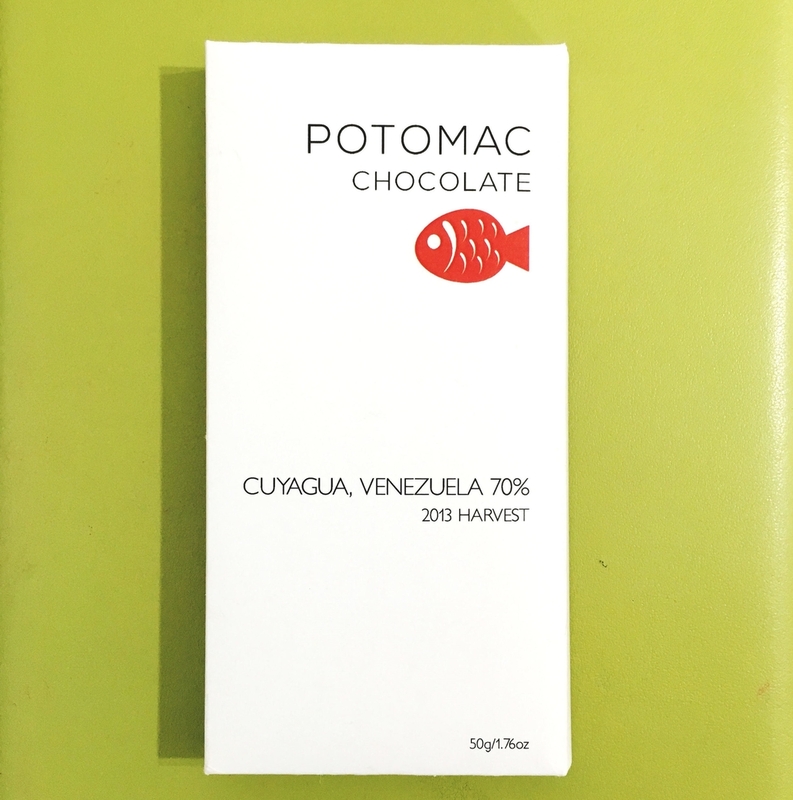 Note: Potomac Chocolate will be attending the DC Chocolate Festival on April 9th, 2016 and doing a bean-to-bar demonstration. If you're in the DC area this weekend, look for Potomac--you won't regret it!